Just starting out? Not sure what to do next? Want better results? Join Project SmartSprout and learn a simple, proven fundraising system that saves you time, builds confidence and helps you get explosive results — fast. Join now for only $30 for your first month, then only $77/month. Most nonprofits struggle with fundraising, unable to fully fund their operational budget each year. But you’re smart – you’re here looking for a better way! You started your nonprofit because you want to make a difference in the world. That’s the easy part. And you know that the more money you raise, the more lives you change. But, if you’re new to fundraising, or you’ve tried raising money and can’t seem to bring enough in, the whole process can seem hard, stressful or overwhelming. Fundraising shouldn’t be complicated, time-consuming, or dull. That’s why we’ve carefully crafted Project SmartSprout to help you grow your confidence and build your skills so you can grow your nonprofit sustainably. Our team of SmartSprout coaches is ready to teach, guide and answer all your questions. You could learn what ideas or activities work the first time, so you stop wasting precious time and resources on DIY disasters. You could have the confidence (and the right words) to ask for what your nonprofit needs, no matter what the situation. You could raise big bucks to fund your mission — predictably — time after time, year after year, without overwhelm and struggle. Guided training. Learn specific fundraising topics and nonprofit management in our two, LIVE webinars each month. Join us at 3 pm ET on the 1st/3rd Thursday of every month. Miss a training session? Login and listen “on demand” in the members-only area. Ask the experts. Go ahead, pick our brain. Ask anything. We answer questions any time, 24/7 in our private, online community. Or, join us quarterly for LIVE Q/A sessions with our program experts. We’re here to help you with topics like websites, leadership, mindset, grants, and more! Samples & Examples. Ready to shorten your learning curve and accelerate results? Each month, you’ll get downloadable samples, examples, worksheets and templates that make learning easier, save you time and eliminate guesswork. Private online community. Ever get an idea or need a question answered right away? You’ll love the support and encouragement in this online, peer-driven community. Share ideas, brainstorm new topics, or get help whenever you need it, day or night. So, let’s draw a line in the sand – no more overwhelm. No more DIY disasters. No more raising dribs and drabs that aren’t worth the time you spent raising money. 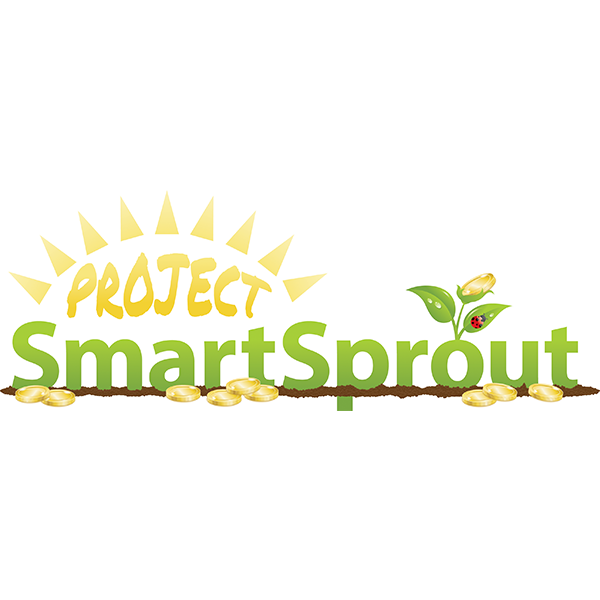 Join Project SmartSprout and get the proven systems and processes that work for young nonprofits like yours. Spend less time experimenting and more time building confidence with the tools, skills, and resources you need to achieve big money results.